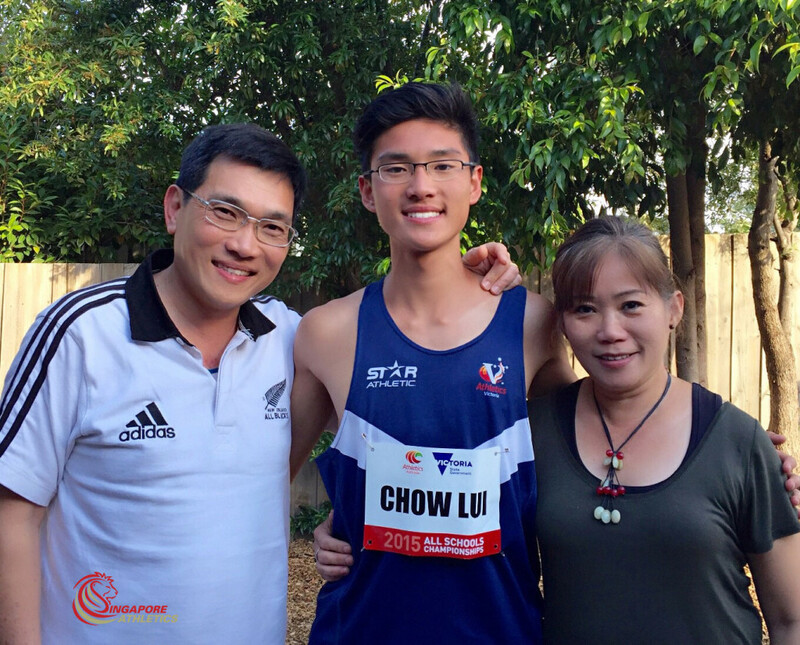 Singapore distance running most promising talent, Lui, Yuan Chow does it again. He consecutively broke another distance record back to back, the 3000 metres youth/U17 boys record achieved last month and the 1500 metres youth/U17 boys record during the weekend. 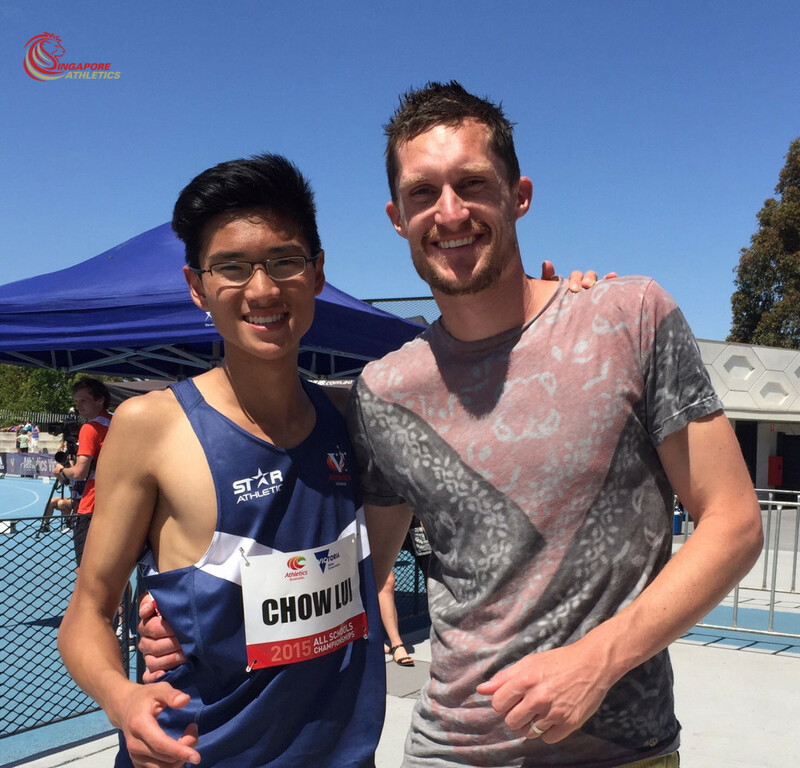 Chow with his coach, Daniel Clark. The 16-years-old Chow, rewrote Serjit Singh’s 46-year-old long standing 1500 metres boys records. He improved upon the timing by a nose, Chow’s 4:02.47 minutes effort was 0.03 seconds faster than Sergit’s hand-time result of 4:02.5 minutes. 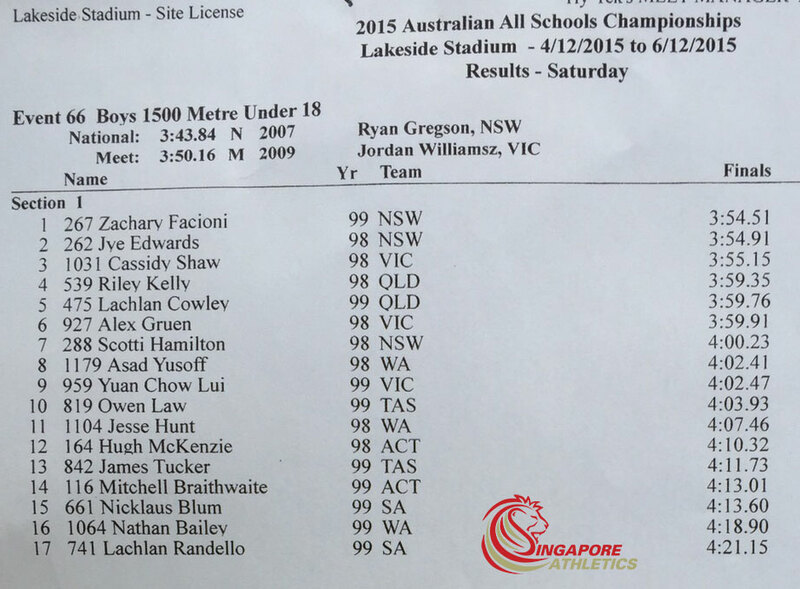 The young prospect was in-fact not at his best, running the race while just recovered from a flu at the 2015 Australian All-Schools Championships, equivalent to our very own National Schools locally. Born in 1999, Chow is a Singaporean and is currently studying in Melborne, Australia, where his family resides. Singapore Athletics future looks bright. Congratulations Chow! Chow with his parents, Jim and Lydia. Video courtesy of Mr Jim Lui. Record above is pending verification by SA.